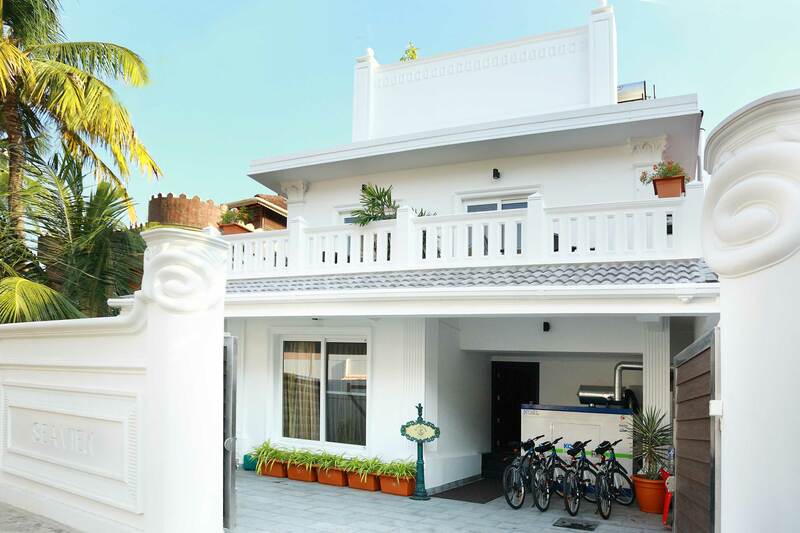 A 6 bedroom boutique hotel, nestled in a peaceful setting just 2 min walk from the famous Fort Kochi beach in the historic town of Fort Kochi. It is hard to describe the unique atmosphere of Anchor Inn. Inspired by the backwaters, we are a relaxing hideaway from the stress and strains of modern life. Our hotel is a unique mix of modern and traditional ethnicities of life. Our rare collection of antiques are a surprise element for our guests. Welcome to our cozy space with eclectic luxury with a homely charm. It is your home away from home in God’s own country. 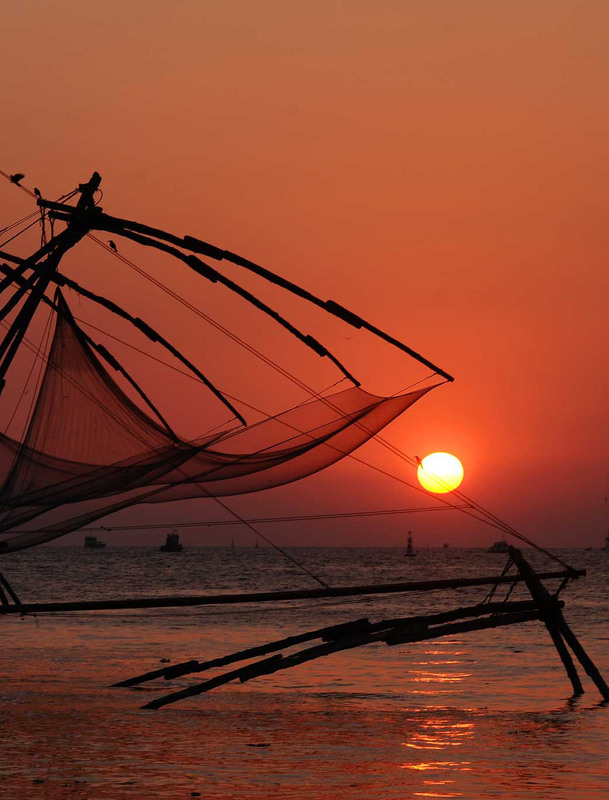 Fort Kochi is a jewel in the crown of Kerala with its European heritage and true cosmopolitan temperament. Situated on the Fort/Mattanchery peninsula. This is the historic part of the city and home to numerous tourist attractions. Fort Kochi has been drawing traders and explorers to its shores for over 600 years which makes the town with an intriguing mix of culture which cannot be found anywhere else in India. Fort Kochi is famous for its antique mosques, Portuguese houses, a 400 year old synagogues and many crumbling remains of the British architecture from the British raj making it an unlikely blend of me-dieval Portugal, Holland and English village crafted together into the tropical Malabar coast. Our very own coastal hideaway is the perfect bolt hole to relax and unwind in. 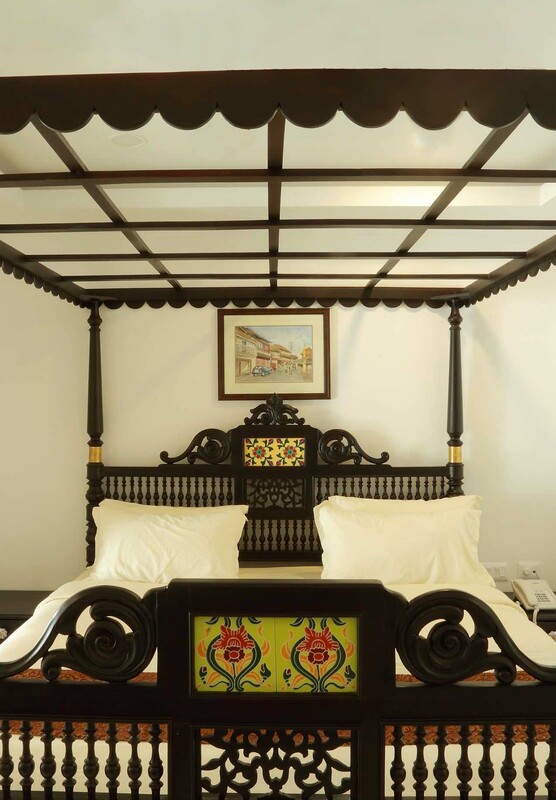 Our rooms are calm and relaxing, they are furnished in antique Kerala style and coastal colors with gorgeous discreet patterns and rich fabric with a queen size bed. All rooms have a private bathroom, beverage making facilities, flat screen television, direct dial telephones, hair dryers and other basic amenities. The common kitchens are equipped with all the basic kitchen facilities. Our Apartment suite is a truly special experience with a spacious bedroom de-signed in a unique fashion. It has a well equipped kitchen fitted with all the ne-cessities. This suite has a spacious open to sky toilet creating that connect to the nature.